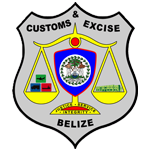 The National Tariff of Belize has been prepared to implement the Common External Tariff of the Caribbean Community established by decision of the Council for Trade and Economic Development (COTED). It is based on the Harmonized Commodity Description and Coding System (Sixth Edition 2017). As with the previous tariffs, it is comprehensive and systematically organized according to easily understood principles. The List of Items Ineligible for Duty Exemption. The General Rules for the Interpretation of the Harmonized System provide the principles on which classification under that System is based and are an integral part of the classification structure of the Schedule of Rates. The rates of duty shown in the Schedule of Rates will be applicable to imports from third countries into the Member States of the Caribbean Community as well as to goods traded among the Member States of the Caribbean Community which do not qualify for Community treatment. Reference to the pages of the Schedule of Rates is included in the listing of Sections and Chapters to permit easy identification in the Schedule of Rates. The List of Items Ineligible for Duty Exemption includes those items produced in the Caribbean Community in quantities which are considered adequate to justify the application of tariff protection. These items will not be eligible for the grant of exemption from duty (in whole or in part) where they are imported for use in Industry, Agriculture, Fisheries, Forestry and Mining. Except where the context otherwise requires, "per cent" or the symbol "%" means percentage of value. Chapter 16 : Preparations of meat, of fish or of crustaceans, molluscs or other aquatic invertebrates.